Area business leaders selected a Hollidaysburg artist to compete in an upcoming national entrepreneurial competition and funded, at least partially, all 13 student-pitched businesses — distributing more than $10,500 at the third annual Young Entrepreneurs Academy! sponsored by the Blair County Chamber of Commerce. 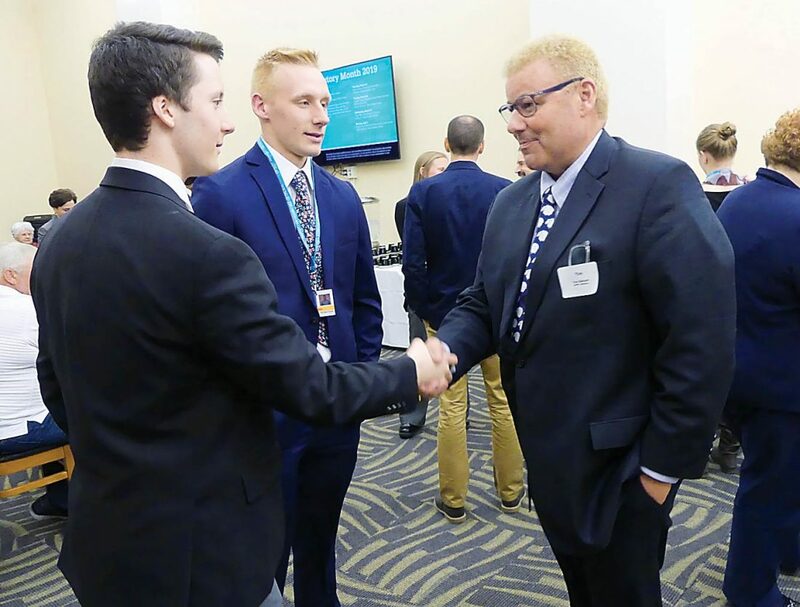 Top winner Abraham “Abe” Onkst, a Hollidaysburg Area High School senior, will represent the Blair County Chamber of Commerce at the national level in early May in Rochester, New York. His business, Onkst Art, received $1,046 and runner-up Olivia Dipangrazio, his classmate, received $1,150 to seed her Cookies N’Cream Confections. 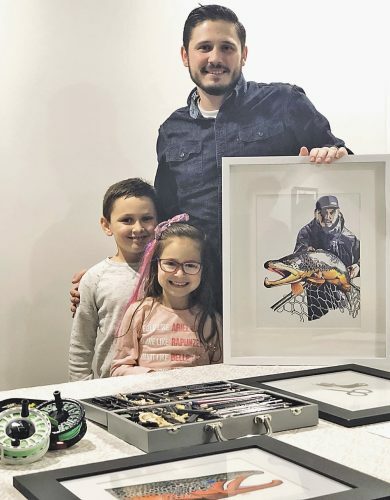 Both students have proven track records with their ideas, as Onkst sold 30 pieces of art in 2018 and Dipangrazio sold her confections at an event last month. Fifteen students pitched 13 ideas for products or services developed during the 25-week class focused on how to start and run their own business, or nonprofit organization. The class is offered through Penn State Altoona’s Sheetz Entre­preneurial Center. One of the 11 business leaders who participated in the panel, Tim Balconi, president of the UPMC Altoona Foundation, said the students impressed the panel. The youngest competitor, eighth-grader Edie Manfred of Holy Trinity Catholic School, kicked off the five-minute presentations that included complete business plans, company logos and long-term goals. She described herself as a “fashionista” as she pitched her custom-designed fashion scarves. Other business ideas included unique fishing lures, T-shirts for students who don’t play sports that boast their creative pursuits, powerwashing and window washing services, a pre-packed backpack for novice hikers, and even a blister prevention device among others. Some students have already applied for patents or trademarks for their ideas. “I am looking to be inspired tonight. I’m looking for a student to invest in that shows passion and a willingness to learn,” said Emily Sheetz, assistant vice president of Strategy for Sheetz, prior to the presentations. YEA!’s mission is to offer students an introduction to the business world and combines a dynamic curriculum and mentors with members of the community, said Joe Hurd, president/CEO of the chamber. YEA! will start accepting applications for the 2019 class next month, according to Royce Rand, program manager. Classes meet weekly for 3 hours from October through April, and involve an application process that includes personal interviews. For information on the application process, contact the Blair County Chamber of Commerce at 943-8151 or email yea@blairchamber.com. The program is open to students in grades 6-12.